Leslie Alexander sold the Houston Rockets for $2.2 billion in late 2017, and now he appears to be moving on from some Houston real estate. He recently listed his mansion in the secluded, gated community of Stablewood for $3.7 million. The billionaire businessman has owned the French manor-style residence for about a decade. 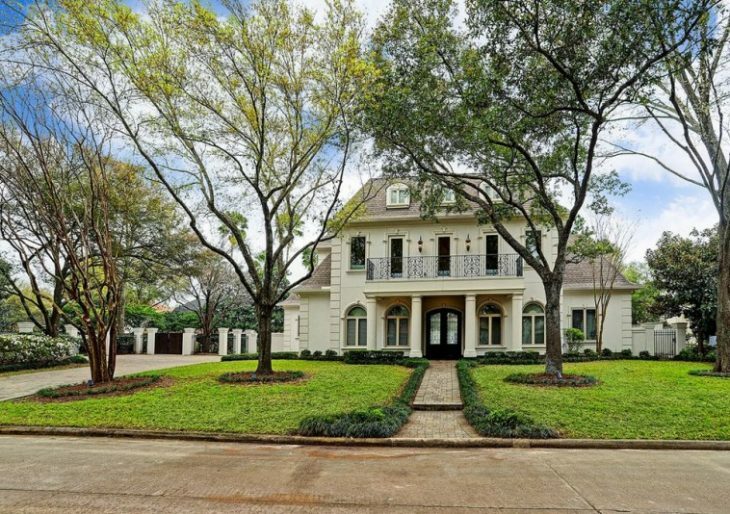 The home spans 5,000 square feet, with four bedrooms and 5.5 baths throughout. The home begins with a grand double-door entrance. The layout is contemporary, with excelled flow from the foyer to the office, which features built-in shelving, and on to the spacious living room. The casual living space stands out with an electric fireplace and an entire wall of oversized windows. Tall ceilings and dark distressed hardwood floors are features of the shared living spaces. The kitchen boasts several large windows and a center island. There is direct access to the backyard from the kitchen’s casual dining nook. Outside, the home’s half-acre lot is filled out with a large lush green lawn, mature trees, and a swimming pool and spa. Leslie Alexander is a former attorney and bond trader. He bought the Rockets in 1993 for $85 million. His net worth is north of $2 billion.